I love sleep, so I hate this weekend when we lose an hour’s sleep. Personally, I don’t understand why we need Daylight Savings Time. This Hour Has 22 Minutes did a great spoof on the time change this week portraying a sleep-deprived Saskatchewaner. Winter and sleep just seem to go together. One of the greatest luxuries in the winter is curling up for a long winter’s nap. It’s just so decadent, lying under the fluffy duvet, looking out at the trees while the afternoon suns streams through the window and letting your eyes slowly close as you drift off to glorious slumber. 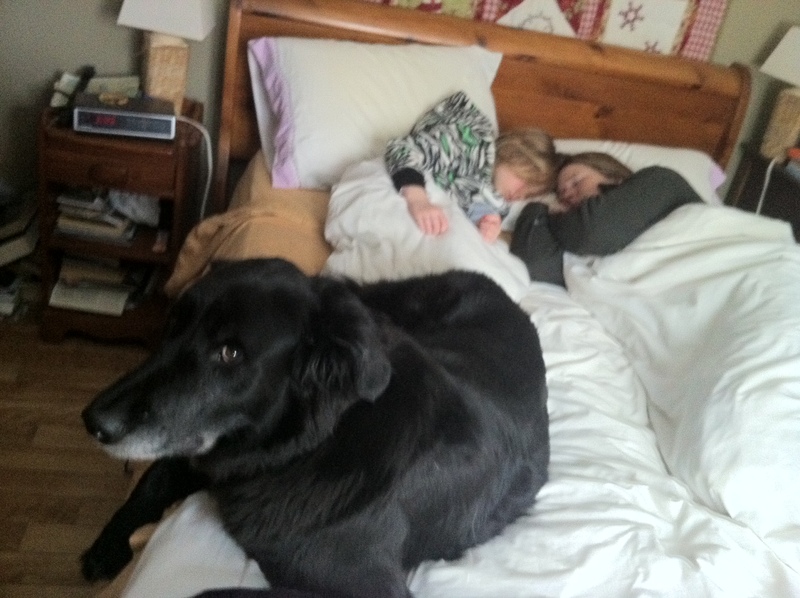 I wasn’t much of a napper until I had kids when it became a survival tactic. My husband comes from a long line of nappers. Growing up on a farm, they’d be up early doing chores, have their main meal at lunch, then have a short afternoon siesta before going back to the barn. In today’s hectic age, I think napping has become a coping mechanism. Last week was a perfect example. I was travelling on business and hadn’t slept at all the first night in the hotel. On Friday night, I was up in the middle of the night, and by Saturday I was an exhausted wreck. A quiet day at home and a long winter’s nap was just what the doctored ordered to make me feel like myself again. This week’s Happy Act is to take a long winter’s nap. You’ll need it after losing an hour’s sleep and if you’re lucky, when you wake up, maybe winter will be gone for good. Holy crap! Here I was thinking I was getting an extra hour today when really I lost an hour! Ooops, no time for a nap now! Great post Laurie! My days of sleeping in ended about the same time I got a dog, but I can definitely see a nap coming later today. If you think dogs are bad, try kids! But I will say this–I’m up more with our stupid Great Pyrenees more in the middle of the night than the kids now. I couldn’t agree more. Sherry and I never miss putting on our eye shades and napping every Saturday and Sunday. Poor sleep combined with busy weeks make naps a necessity, not just a luxury! I think that’s true of many people today.